Private Equity and Health Care Fraud - A New Frontier? The government in Medrano finds it significant that the private equity partners sought to increase the value of PCA and exit the investment in five years. Health care investors typically have a goal of increasing the value of the company and then selling it at a profit. But in this case, the government alleges that the way they went about it violated the law. It claims that two partners, PCA board members, led an initiative to increase revenues by entering the pain management market, looking for a quick payback, but crossing the line from an ethical point of view. The government alleges that they entered into aggressive marketing contracts, with high commissions, that generated possibly fraudulent claims for a new product; and that this was done to make up for lost revenues from lower than expected government pricing for other products. The case was originally filed in 2015 and the government intervened in February of this year. 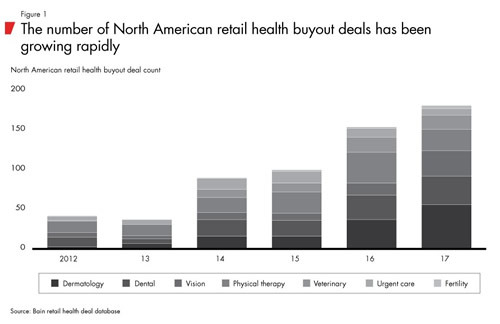 Investors see health retail health care as a fragmented, high margin sector, with opportunity for consolidation, performance improvement and growth. The fact is that Medicare, Medicaid and other federal (like TRICARE) and commercial health coverage programs are a reliable and prompt revenue source. Often consumers are paying little or nothing for the goods or services. New technologies in health care and an aging baby boomer population also indicate innovation and growth in the health care sector. The Office of Inspector General for Health and Human Services (HHS-OIG) has begun to identify dentists in "chain" practices, often funded by private equity, as having a propensity for performing unnecessary dental procedures on children in the Medicaid program. And several fraud settlements have been reported in these cases.8 Franchise type operations in urgent care and physical therapy also appear to be areas of interest to the government. One of the most interesting and concerning aspects of Medrano is the fact that individual partners and executives of the company were also charged. Former U.S. Deputy Attorney General, Sally Yates, issued a memo in 2015 on individual accountability for corporate wrongdoing. It stated: "One of the most effective ways to combat corporate misconduct is by seeking accountability from the individuals who perpetrated the wrongdoing. "9 The memo goes on describe six elements of this policy which are currently reflected in the US Attorney's Manual (USAM) at 9-28.210 - 28.500. 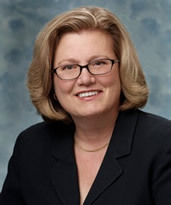 Mary Wickens, JD, CFE, CHC is a consulting and testifying expert with over 35 years of experience in health care payments and compliance. She has experience in health plan mergers and acquisitions, including due diligence, contracting and government novation agreements. Mary has testified in several major False Claims Act and Anti-Kickback cases. Recently, she successfully testified in a commercial arbitration involving a private equity company and a health care company on this issue of government investigations and warranties.